Liberty Environmental, Inc. provides environmental consulting and engineering services to clients across the United States – including manufacturers, private landowners, land developers, financial institutions and government entities. Our staff is composed of national experts in air quality management, water and waste management, environmental compliance and auditing, sustainability and greenhouse gas management, storage tank management and earth sciences. Our environmental services are valued by our customers, many of whom we have worked closely with for years and who appreciate our thoroughness and dedication, proven record of success in managing environmental matters, innovative approach to environmental challenges, and discretion in managing sensitive compliance concerns. "I was so impressed with the professionalism and field methodology. Despite the weather conditions, the work was performed in a timely and efficient manner, allowing me to move the project forward." "You’ve done such a good job; I want to give you more work!" "Thank you for saving a $36 million dollar project." "Liberty’s environmental compliance support makes my job easier and makes me feel more confident." "Very professional team. Excellent job on delivering Act 2 cleanup services." "Your efforts show tremendous commitment to our client. Your team is going above and beyond most consultants which is exactly what is needed." "I was impressed with the professionalism of your work and the work of the field staff." "You have a good crew; this project operates like a well-oiled machine." "I appreciate the reasoned and rigorous approach your firm takes to resolve issues for your clients." "It’s an absolute pleasure to work with your team. It’s been such an easy experience and I sincerely appreciate all your assistance with the SPCC plan development and updates." "Just wanted to give you a big thumbs up for your asbestos and lead inspector, Dane Ott. He was great to deal with, down to earth and knew his job. " "Thanks again to the entire Liberty staff for all of your help. I do truly appreciate not only the professional relationship we have, but the friendly rapport we have developed. " "You are awesome and we really appreciate your help. Numero Uno!" "Thanks for providing your assistance and expertise to our borrowing customer last week. Liberty’s ability to quickly address the concerns was appreciated." "I have tried many environment related podcasts before and have not really been able to get into any. But your short-length information-packed episodes are so interesting that I finished all 7 episodes in a day! Thank you so much for starting the series and I hope to listen and learn more from you and your colleagues in the future as well. " Founded in 2004, Liberty has grown into the one of the region’s most respected, environmental consulting and engineering firms. A uniquely notable aspect of Liberty is the broad range of expertise represented within our firm. 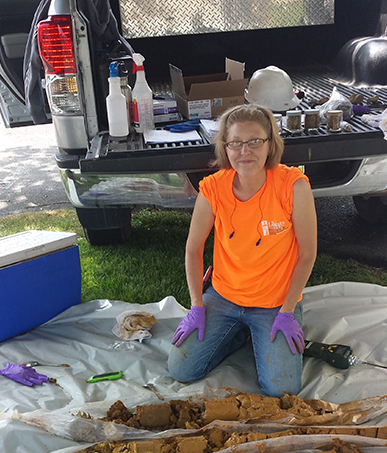 Among our staff are professional geologists, environmental and water resources engineers, wetlands biologists, hazardous materials managers, auditors, and specialists in aquatic habitats, regulatory compliance, air quality permitting, and real estate due diligence. We draw from this broad array of technical expertise and professional backgrounds to provide a range of services to our clients that is truly unique to firms of our size, while providing a level of responsiveness that is unachievable by national firms. We welcome you to call upon any of our experts for solutions to your environmental challenges.